What do you do to brighten a cold Melbourne morning? Add a pop of colour to your outfit! While black is a Melbourne fashion go-to, I love mixing things up and today paired a vintage black dress with an orange Wayne Cooper bag and Topshop heels. 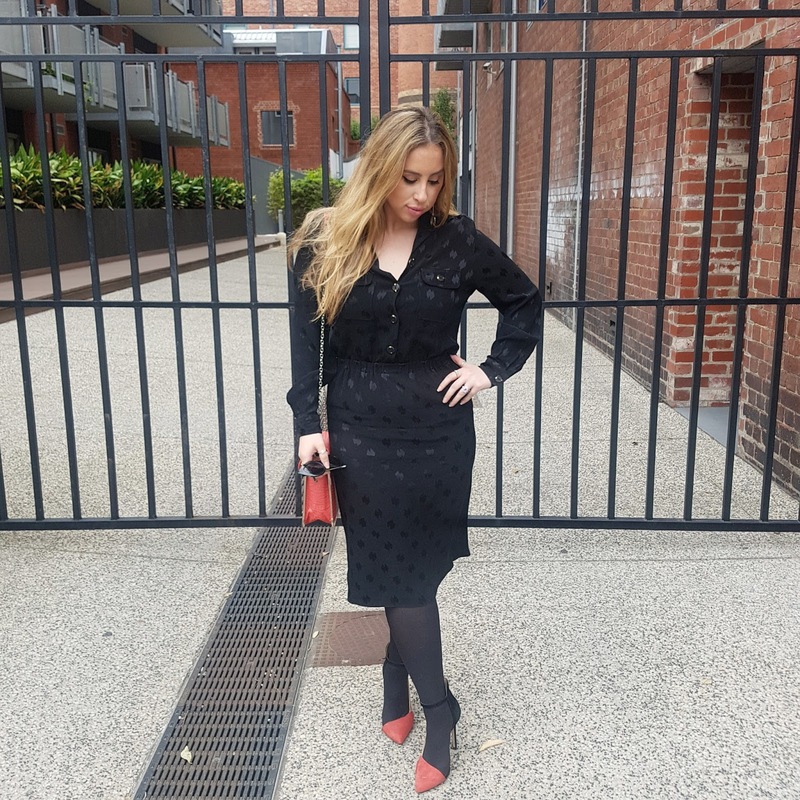 Black will forever be a staple in my wardrobe, but adding interesting accessories with print, colour and texture keeps fashion fun and allows you to inject some personality into your outfit! Melbourne - the place to be!